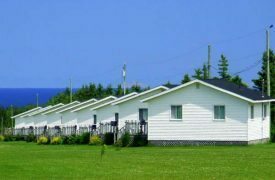 Enjoy a relaxing vacation in our newer deluxe cottages. Panoramic view of sunrise over the ocean, overlooking fields of barley, wheat, and soybeans. Two-, three- and four-bedroom cottages spaced 35 ft. apart, featuring modern conveniences. Queen bed in master bedroom, two double beds in all others. Two windows per bedroom for sleeping comfort. 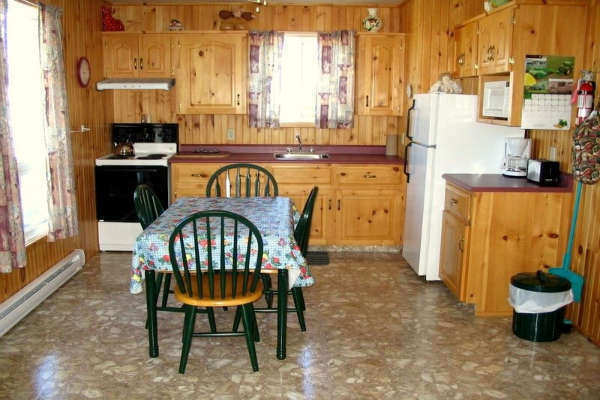 Heated, pine interiors, fully-equipped kitchens, wireless Internet, satellite TV, sofa beds, playpens, and barbecues. Private decks, spacious playground, laundromat, individual campfires. Ten-minute drive to Cavendish attractions, beaches and six major golf courses. Complimentary pass to National Park beaches. Interac, MC, V accepted. Farm Tourist Home: 3 o/n units, 2 B&S, 1/2B. Daily $50-55(2), $5 add’l person. Cottage: 10 hsk units. 10B&S. Daily $80-150(1-4). Cottage Suite: 2 hsk units. 1B&S, 1B(whirlpool), 2S, 1/2B. Daily $130-300(1-8). Off-season rates available.